What’s the difference between session duration and attempt duration? Timestamp or Stored? When should you record time taken and how can you report it? This series of blogs will look specifically at duration and how to report on it. The SCORM veterans at Rustici Software tell me that duration reporting by SCOs was notoriously patchy. That’s why you’ll notice that SCORM Cloud will tell you it’s calculation of duration alongside the figure reported by your e-learning. It can do this because the SCO sits inside a player – either a frame or a pop-up window – that allows SCORM Cloud to keep an eye on the SCO. xAPI does away with the need for frames and pop-ups; that’s a really good thing for everybody but it does mean that activity providers need to be on the ball with reporting duration. As an Activity Provider, if you want to provide good duration information you’ll need to issue statements for the events in the table below. There’s no universally agreed set of verb ids for this yet (CMI5 is still under development), but I’ve listed the verbs that I would use (and have used) when designing statements. The very first statement issued by the activity provider as soon as it can. I recommend including a Result Duration of zero (“PT0S”) with this statement. Issued whenever the learner leaves the activity and includes the session duration as the value of Result Duration. Issued at the start of a new attempt. You should always include a Result Duration of zero (“PT0S”) with this statement. Issued when the learner leaves mid-way through an attempt. Includes the current attempt duration as the value of Result Duration. Issued when the learner returns to an attempt that’s been suspended. You can optionally include the attempt duration tracked so far as the value of Result Duration with this statement. The attempt can be considered over when the learner passes, fails or completes the activity. These statements should include the final attempt duration as the value of Result Duration and a Result Completion of “true” to make clear that the attempt is complete. The object of all these statements needs to be the main activity itself rather than something within that activity. You might also want to track duration for sub-activities such as modules, screens or interactions within an e-learning course too, but this is no substitute for tracking the duration of the activity as a whole. Note that you should use the Context Registration property to link groups of statements together. The concept of registration is linked to the idea of a learner being enrolled on a course and can be a little complex. Sometimes a registration is equal to an attempt for all practical purposes, but that’s not always the case and single registration may contain multiple attempts. In our golf prototype, for example, the user is given the option to return to a saved location or start again. If they choose to start again, that’s a new attempt but not a new registration. In our Tetris prototype each game of Tetris is a new attempt, but they all sit within a single registration. As a rule of thumb, if the LMS initiates a clear slate for the learner when launching the activity, that’s a new registration; if the learner has multiple attempts within the activity, it’s not. What if the user closes the browser? Make clear how learners can safely exit the course; provide some instructions and a clear save button at the top of the page. For example, the latest version of our golf prototype adds a ‘Save and Exit’ button to the navigation. Consider the session over and issue statements when the learner gets to the end, not when they exit. Launch the course in the same window rather than a new window and return the user to the LMS when they exit. This may require some collaboration with the LMS provider to achieve, but is a smoother experience for the user and discourages closing the window. The draft CMI5 specification includes a standard way for the LMS to provide a return URL to the activity provider. 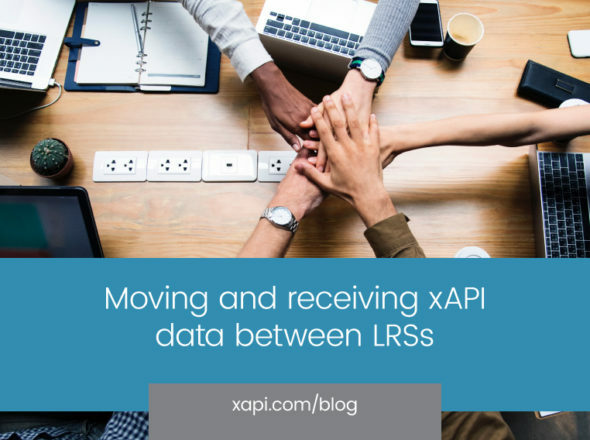 I hope that clears up the questions you had around how to track duration and helps us all to do xAPI better. If you do have further questions, please get in touch.